In the latest Real Boxing 2 ROCKY update the lottery system got a complete overhaul – with the LOTTERY ROYALE the Lottery has been rebuilt from the ground up to give players even more engaging and fun experience, with new cards, new prizes, new unlockables – it’s Vegas, baby! Players can now unlock additional boxing gear and ever boxer skins in the Lottery draw! And with the Lottery Royale must have come the Grand Lottery Royale Tournament, where players will be able to win big as never before! For Real Boxers who think they own the game – they are going to be proven wrong! 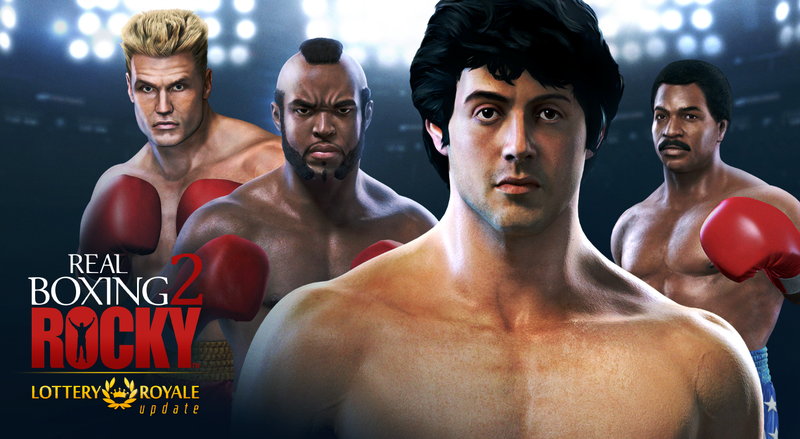 Real Boxing 2 ROCKY™ LOTTERY ROYALE update is available now as a free download on the Apple App Store and Google Play.